Kindle for PC does not support Linux on 2016/9. 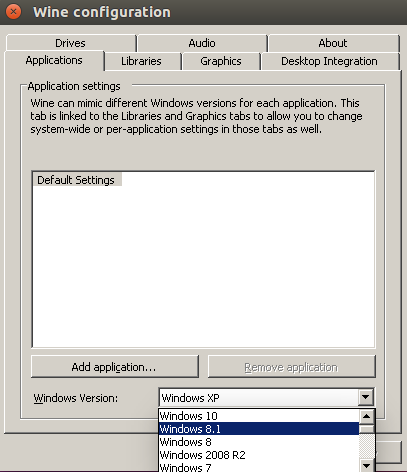 This article will describe running Kindle for PC (Windows) with Wine. Download Kindle for Windows (Windows) from here. Wine 1.4 and Wine 1.6 on Ubuntu 16.04 have issue with the following error. This error will prevent running Kindle for PC. So download source code from Wine repository and install it. Install packages for building Wine. Download source code from Wine repository and install it. It will take a hour. Binary of wine will be installed to /usr/local. Kindle for PC (Windows) 1.17.44183 does not work Windows XP and Windows 10. Change Windows version to Windows 7 / Windows 8.1 with winecfg. Change Windows version to Windows 8.1 and apply. 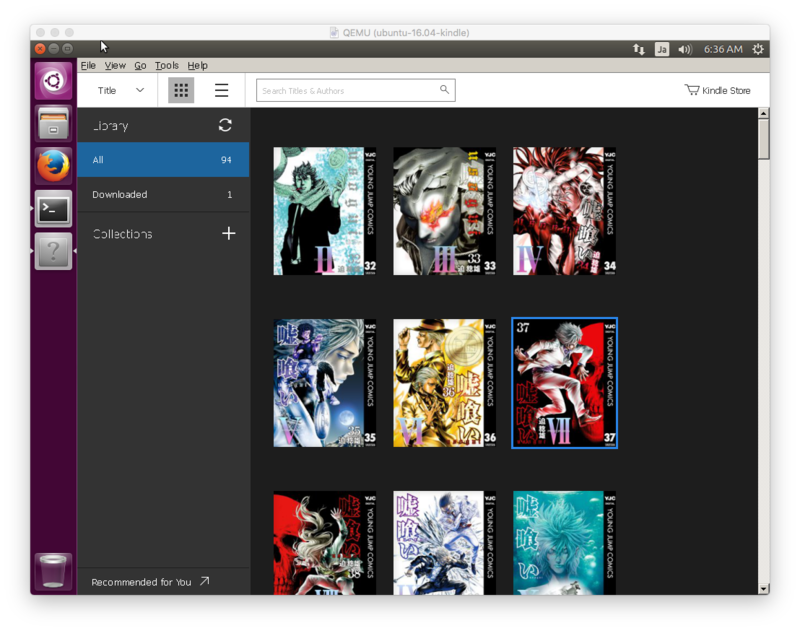 Run Kindle for PC (Windows) with wine. 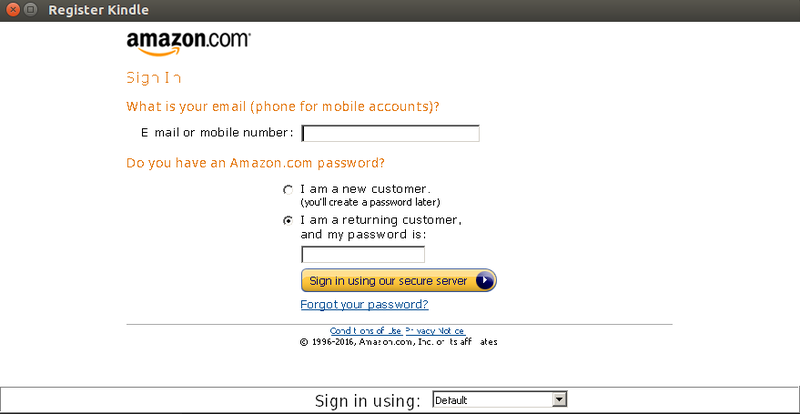 Input Amazon account for Kindle. My Kindle library is displayed.